Henry passed the Common Professional Examination and Solicitors Final Examination respectively in the Bristol University and the Guildford College of Law in 1990. He qualified as a solicitor of the England and Wales Supreme Court and a year later, he was admitted as solicitor of the High Court of Hong Kong. Over the past 38 years of his legal career, Henry has participated in numerous many large real estate development projects, BOT project finance, corporate finance, IPOs, corporate M&A and telecom patent rights international licensing and enforcement. Henry joined Baker & McKenzie Hong Kong office in 1978 as a fee earner and as an associate in real estate practice until he resigned in late 1992. He was one of the two co-founders of the Property Department of the firm. In late 1992, Henry co-founded a local law firm named So Keung Yip and Sin with four Ex-Baker lawyers. Since then he gradually changed and moved his practice area to general corporate and commercial law, cross-border M&A with emphasis on oil and gas, mining and mineral resources, and started to develop corporate finance, IPO, debt and equity securities and securitization and etc. In October 2009, he resigned from So Keung Yip & Sin and joined K. C. Ho & Fong as a partner where he continued to develop the areas of practice mentioned above. 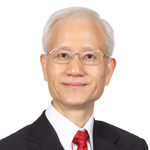 In 2011, he retired from K. C. Ho and Fong and joined ONC Lawyers as a corporate and commercial partner until now. With respect to the community service, Henry has been sitting in several committees in the Law Society of Hong Kong. 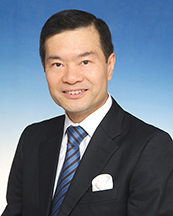 In addition, from 1999 to 2001, he was a member of the Real Estate Services Committee of the Coalition of Services and the Europe Committee of Hong Kong General Chamber of Commerce. From 2000 to 2002, he was a member of the General Committee of the Chinese Club. In 2012, he was the Vice Chairman of The Association of Hong Kong Professionals.